Joy, Michael and Maria Rose. "Maria! Michael and I are pleased to announce the arrival of our beautiful girl, Maria.". 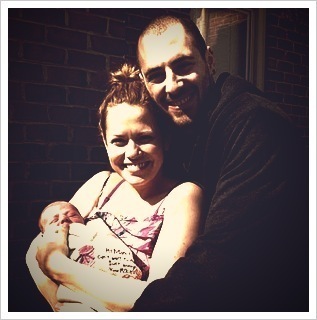 Wallpaper and background images in the One mti kilima club tagged: bethany joy galeotti michael galeotti baby. This One mti kilima photo contains picha, headshot, and closeup.